What do YOU say? How do you pronounce the names of towns, or streets, or mountain ranges? 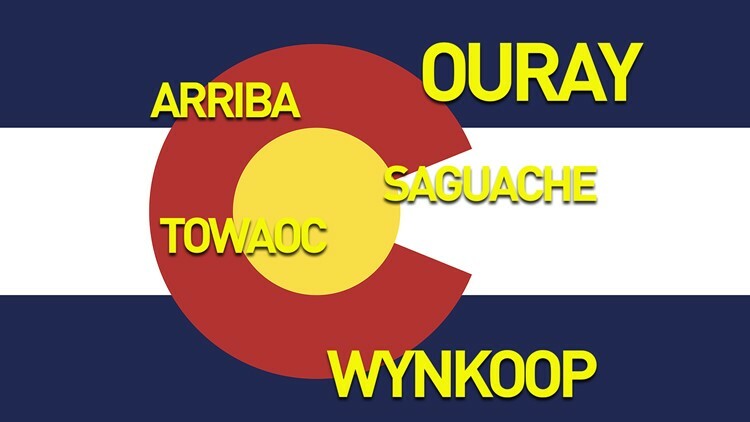 Colorado is filled with confusing names, and several of you have asked Next to find out the correct pronunciations. KUSA — What do YOU say? How do you pronounce the names of towns, or streets, or mountain ranges? Colorado is filled with confusing names, and several of you have asked Next to find out the correct pronunciations. Here is your Colorado name dictionary, which we will continue to add to as we go. Keep in mind, these pronunciations might vary from what you've heard is correct, but for these answers, we asked people who live and work in the town. It may not be "correct," but it is the way people in the town choose to say these words. Is there a name you'd like us to pronounce? Email us at next@9news.com, contact us through Facebook or use #HeyNext on Twitter. If videos do not appear, click here.